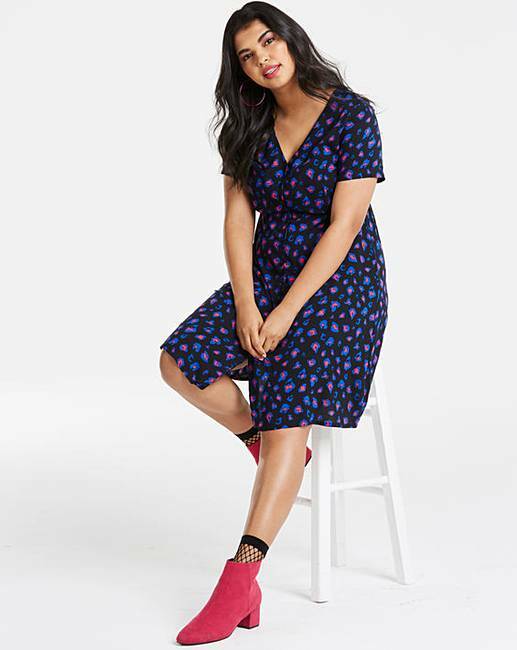 Update your wardrobe with this V-neck tea dress. 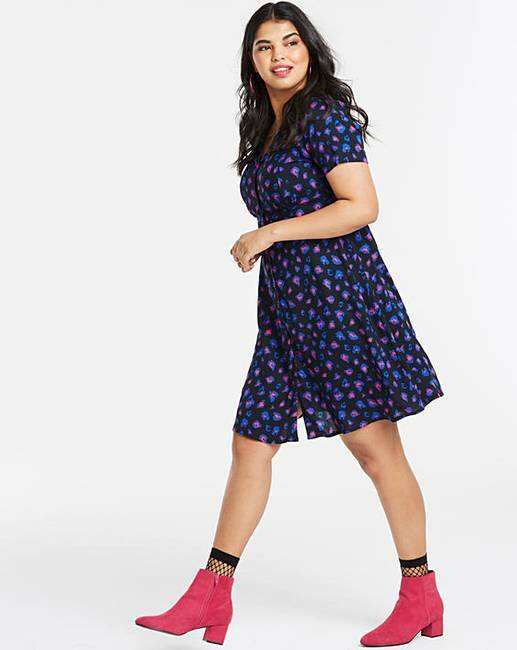 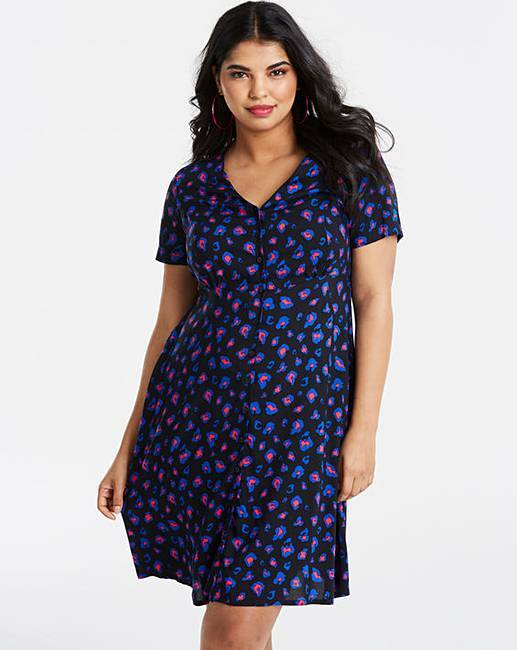 This easy-to-wear dress is adorned in a striking neon animal print, and features button front fastening and short sleeves. 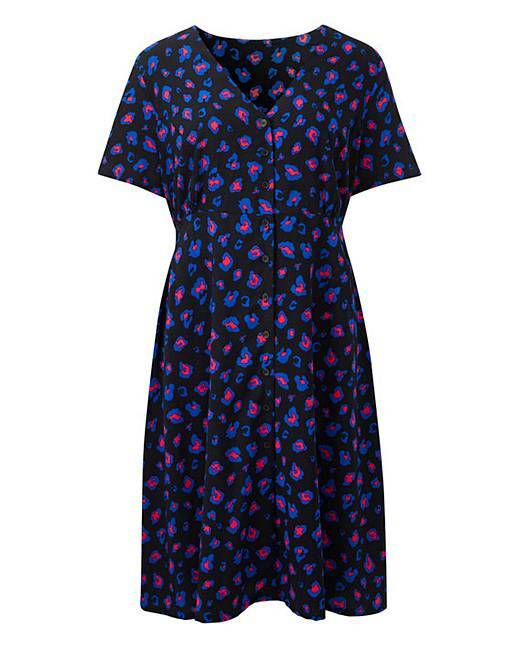 Wear with heeled ankle boots and a biker jacket.